Integrate push notifications in your crosschannel marketing strategy. The multi-channel platform for Digital Marketing and Marketing Automation via eMail, SMS, Push, Web, ADV and Social Media, available in both SaaS and ON Premises versions. Why should you connect MagNews? This partnership between Batch and the Italian leading CRM platform Magnews will enable you to seamlessly add Batch’s engaging push notifications to Magnews scenarios, already including email and SMS. 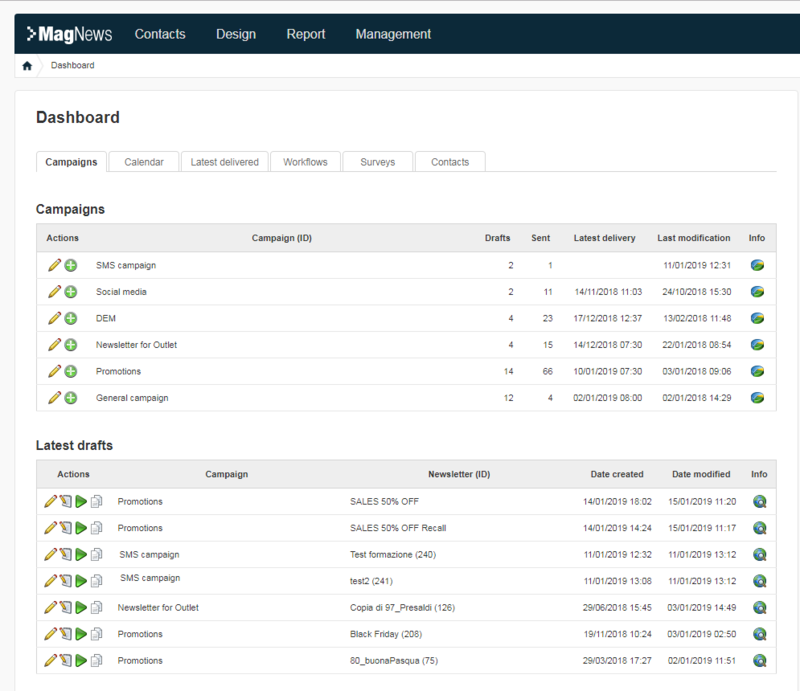 In return, Batch will forward user opt-in and reaction events to cover your targeting and automation needs on Magnews. Ensure the success of your CRM strategy on Magnews leveraging all available medium to create comprehensive and interesting multichannel campaigns.